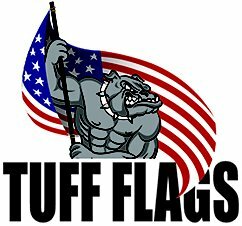 Show your German pride by flying these top quality 100% made in USA German national flags from Tuff Flags. We offer the official German flag in various sizes and fabric choices including Denier nylon, which is well suited for the outdoors. The national flag of Germany is a tricolour consisting of three equal horizontal bands of black, red, and gold-which are the national colors of Germany. 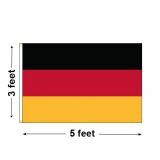 Our German flags are perfect for celebrating Oktoberfest and other events and parades of national events of Germany. Shop right away and avail the advantage of the best prices, quick shipping and much more! 100% customer satisfaction guaranteed! Celebrate the history and the national pride of Germany with our range of made in America, German National Flags. First adopted as the national flag of modern Germany in 1919, during the Weimar Republic, these tricolours have become the synonyms of the dreams and hope of the German Republic ever since. Our outdoor German national flags that are symbols of beauty and craftsmanship feature top quality Denier nylon, UV resistant Dupont inks and reinforced fly ends, which make it tear resistant and visually appealing for a very long time. If you are looking for premium quality German flags for your national day parades or commemorative events, you are at the right place at Tuff Flags. Browse our collection of Germany National Flagsand shop at your pace. 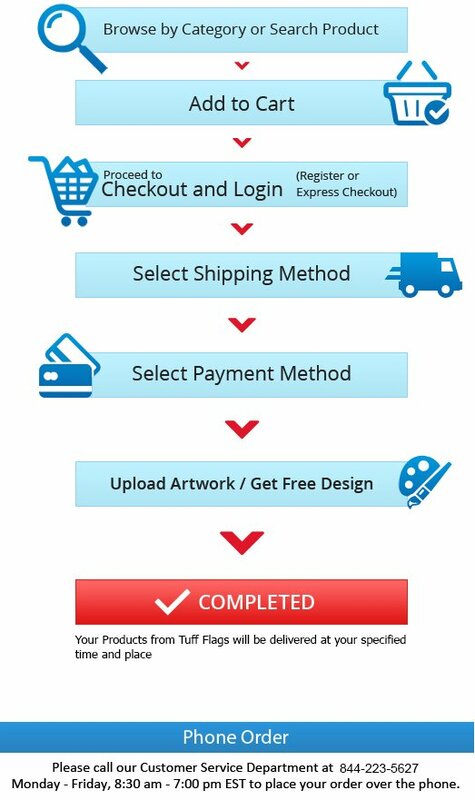 Feel free to reach us at our toll free number (888) 287-3524 or email at customercare@tuffflags.com should you need any tips or assistance.